The fourth novel in the DI Sean Corrigan series - authentic and terrifying crime fiction with a psychological edge, by an ex-Met detective. Perfect for fans of Mark Billingham, Peter James and Stuart MacBride. Their crimes of greed and incompetence are broadcast to the watching thousands who make up the jury. Once the verdict is cast, the man who calls himself 'The Jackdaw' will be judge and executioner. DI Sean Corrigan and his Special Investigations Unit are under pressure to solve this case fast. 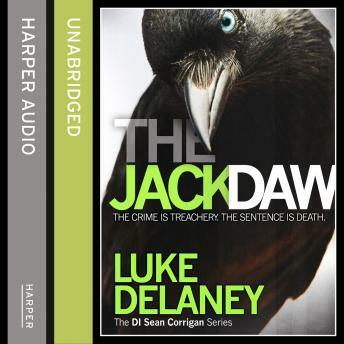 But as The Jackdaw's popularity grows, Corrigan realizes he's hunting a dangerously clever and elusive adversary - one who won't stop until his mission is complete.